SES performs internal building surveys for a variety of purposes including the recording of newly completed structures, refurbishment of old or derelict properties and space planning for existing buildings. Our new integrated software system allows readings taken by Theodolite to be directly transferred into AutoCAD on site, which means less time in the field and less CAD time in head office which translates into direct cost savings for our clients. We believe that Real-Time 3D data capture is a major boost in turn around. 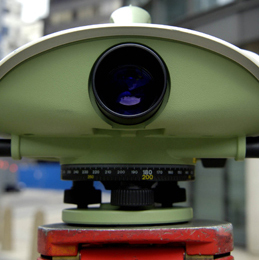 In conjunction with the new software SES uses the latest reflectorless total stations which means building surveys can be carried out causing minimum disruption in occupied buildings, and previously inaccessible areas can be surveyed remotely. Surveys SES have completed include large occupied office complexes, a Grade 1 listed mansion, shopping and leisure centres and many more. Ceiling Plans - FCL, false ceiling level, intrusive surveys into the ceiling void for soffit and service detail. Floor Plans - FFL, intrusive surveys under raised flooring for SSL and service detail. Space - Description of rooms, surface types and finishes, floor nett/gross area calculations, service positions as switchers/sockets/comm's cables. Walls - Internal partitions, stud wall, solid walls. Access - Doors, risers, access hatches, fire escapes, windows, stairs, lifts. 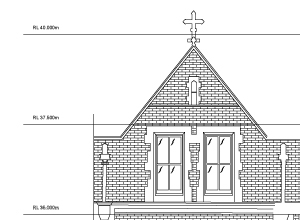 Elevations - Full external elevations showing building profile, window heights, roof heights etc. Sections - Complete cross and longitudinal sections showing building as-built information. Roof Plans - Heights, pitch angles, gutter locations etc. Footprint Surveys - Overall footprint area shown. Rectified Photography - Scaled photography. We can tailor design a survey package to suit your individual needs and with teams working across the UK we can provide a fast turn-around.